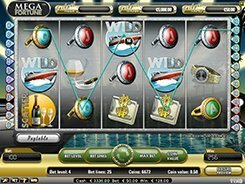 Mega Fortune is one of the most famous progressive slots on the market that has made over 30 slot players instant millionaires. With an average win of about €4.1 million, the progressive jackpot is hit every 11 weeks on average and is reset to the minimum value of €250,000 after payout. If you are a jackpot hunter, Mega Fortune will have a great appeal to you. 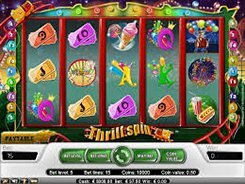 The slot is equipped with 5 reels and 25 paylines. 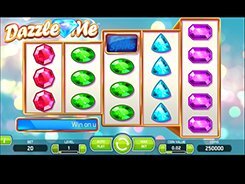 Like in most other slots, you have three adjustable options: a coin value ($0.01 to $0.5), the number of coins (1 to 4), and the number of active paylines, so the maximum stake that can be placed in Mega Fortune reaches $50 per spin. 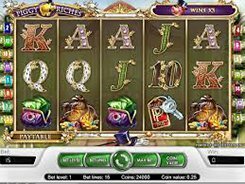 In fact, the slot features three progressives: Mega, Major and Rapid, with the last two being local progressive jackpots the amount of which varies depending on where you are playing. To try to win the jackpot, you need to enter a bonus game unlocked by rolling up three Bonus symbols on an active payline. In the Bonus game you will be presented with a wheel of fortune that will award you a cash prize or one of the three progressive jackpots.